A 2018 Subaru Crosstrek is the 9 millionth Subaru sold in the U.S. See what repeat customer bought it. 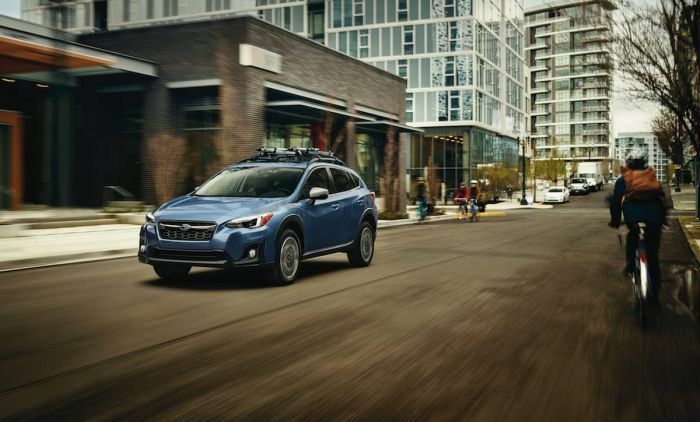 Subaru of America celebrates its 9 million vehicle sold, a 2018 50th Anniversary Edition Crosstrek. It was purchased by a repeat customer, Dr. Hershey Garner, who also owns a 2005 Baja. Garner who bought the new Crosstrek crossover at a Subaru dealer in Arkansas, specialized as a radiation oncologist in Northwest Arkansas for over 30 years. The 2018 Crosstrek is a fitting vehicle in Subaru’s stable to get the honor as the 9 millionth vehicle sold in the US. Crosstrek just got a complete remodel for 2018MY and it’s been selling like crazy around the globe. The complete remodel is paying off big for the brand as consumers like Dr. Garner respond in a big way. It’s been the hot car in America and achieved its best March ever for sales with an 88.2 percent increase over the same month in 2017. March also marked the first time that Crosstrek has topped 13,000 units in a month. Subaru of America has grown from being mainly sold in the Northeast, Mountain West, and Pacific Northwest. 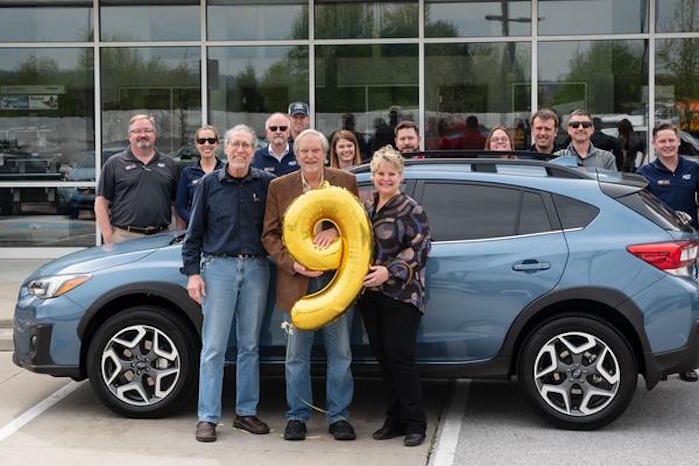 The brand is growing in the southern states where this 9 millionth Crosstrek was sold in Fayetteville, Arkansas. Subaru only produced 1,050 of the special 50th Anniversary Edition 2.0i Limited Crosstreks an MSRP of $30,040. The Anniversary editions celebrate Subaru of America’s 50 years in the U.S. and get exclusive Heritage Blue exterior color, satin chrome exterior trim and badging, and SOA 50th anniversary emblem on the front fender.